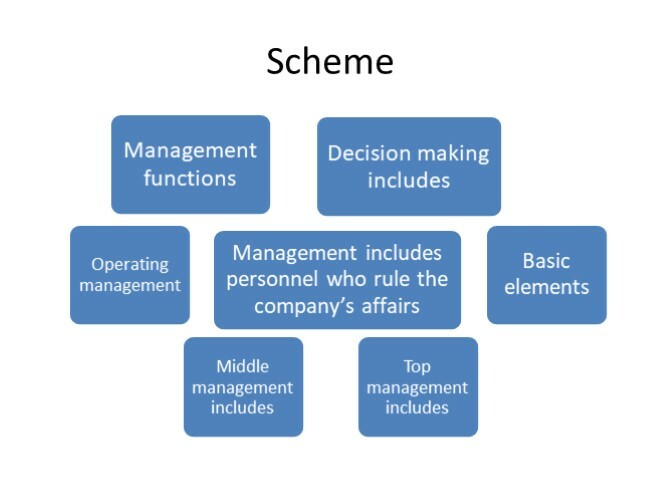 There are three management levels: top management, middle management and operating management. 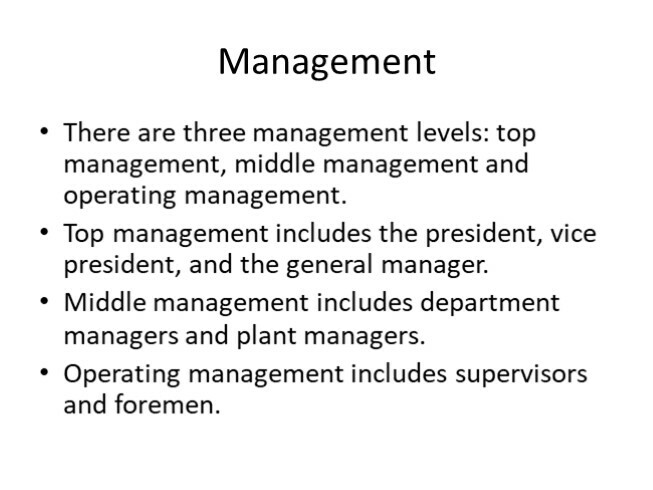 Top management includes the president, vice president, and the general manager. 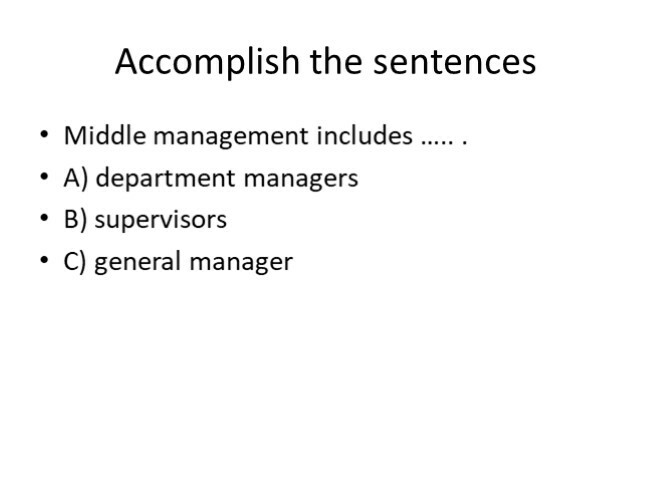 Middle management includes department managers and plant managers. Operating management includes supervisors and foremen. Decision making are divided into: recognizing the problem, defining and analyzing the problem, evaluating alternative solutions, choosing the most favourable solution and implementing the approach chosen. 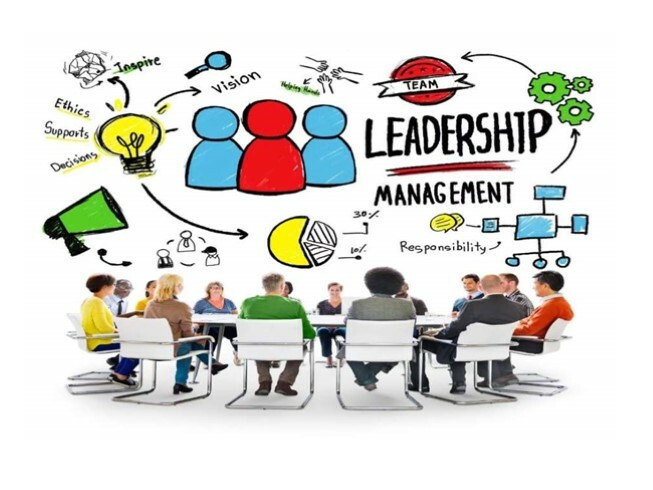 Management functions are planning, organizing, directing, controlling, staffing and innovating. 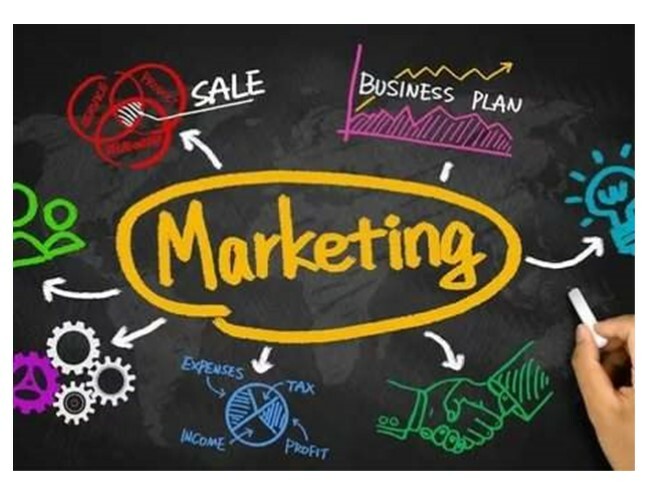 Marketing is a business connected with the flow of goods and services from producers to customers. 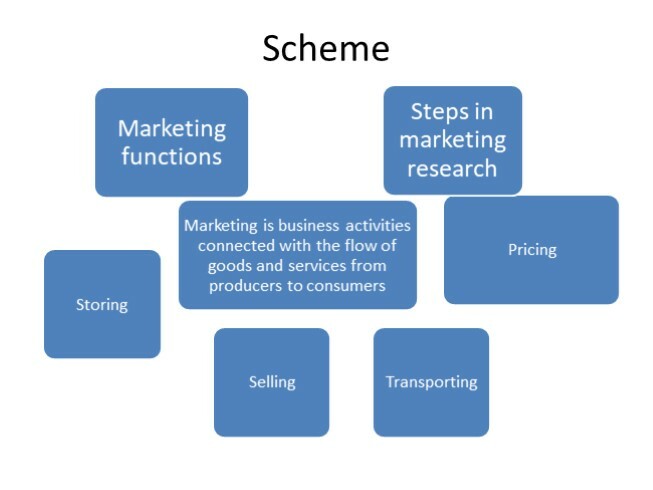 Marketing includes the following operations: transporting, storing, pricing, and selling goods. 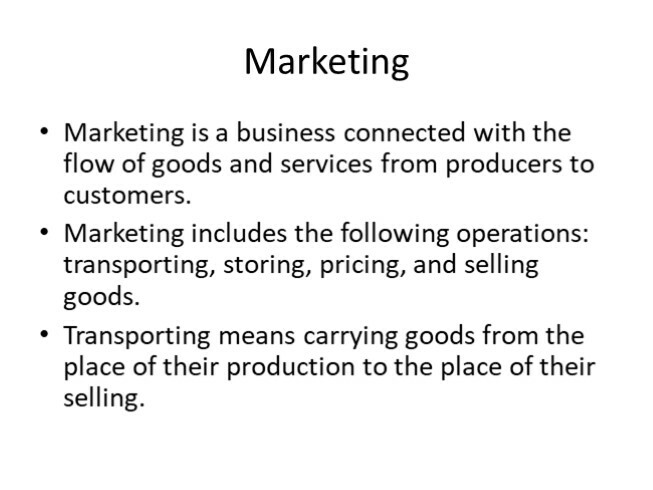 Transporting means carrying goods from the place of their production to the place of their selling. Storing is necessary because the consumer wants to buy goods without waiting. Pricing is the art of determining what price is the best. 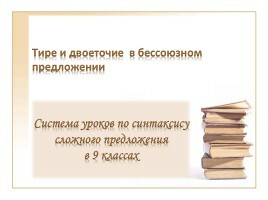 Selling helps consumers to discover their needs. 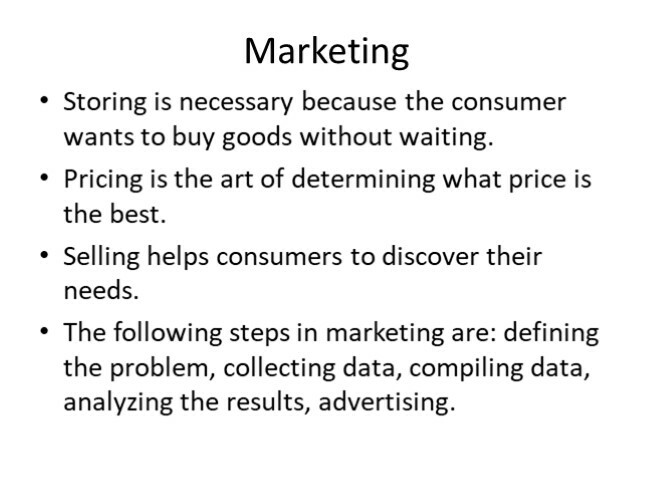 The following steps in marketing are: defining the problem, collecting data, compiling data, analyzing the results, advertising. 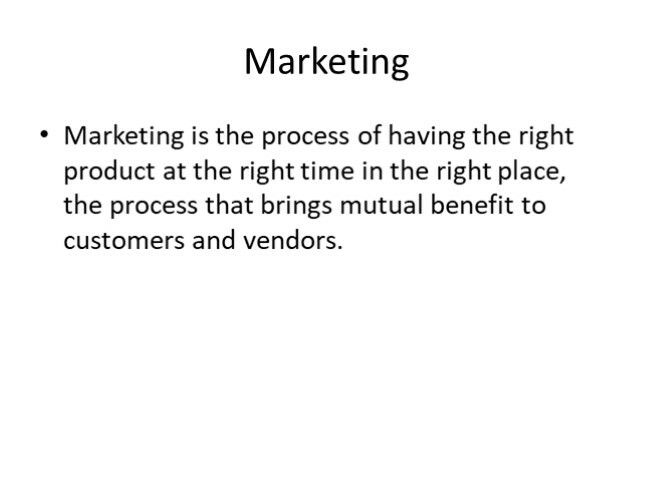 Marketing is the process of having the right product at the right time in the right place, the process that brings mutual benefit to customers and vendors. 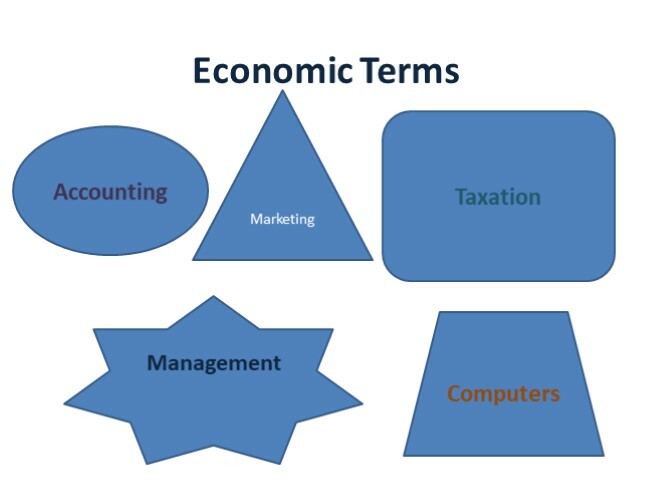 Decision ma king is divided into …. . A) planning and controlling B) recognizing the problem and choosing the right solution. 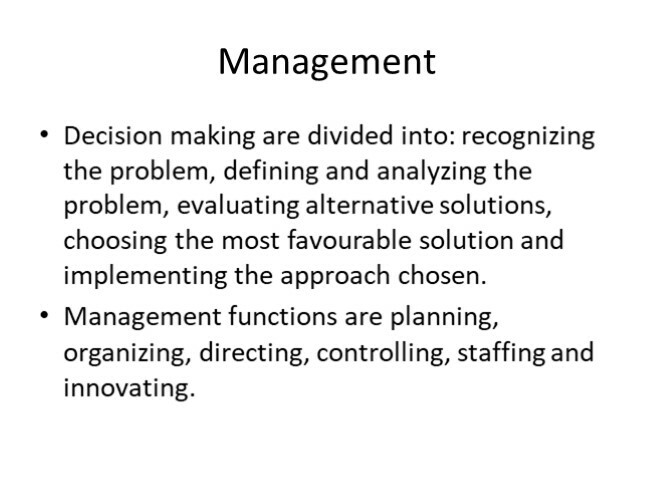 Management functions are ……. . A) planning, organizing, controlling, staffing B) recognizing the problem and choosing the right solution. 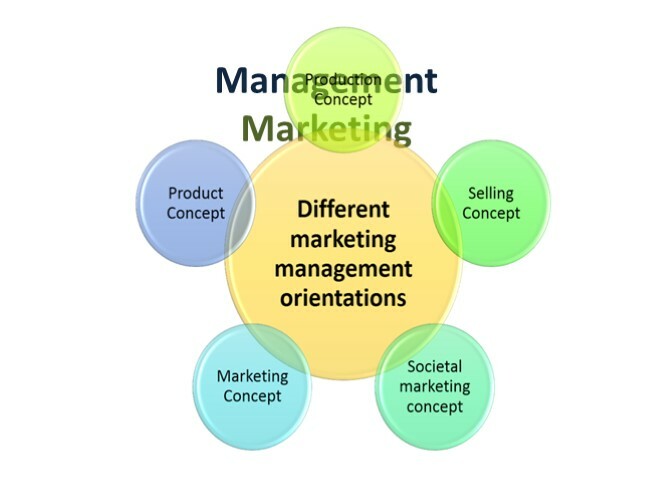 Marketing is the performance of business activities connected with … . 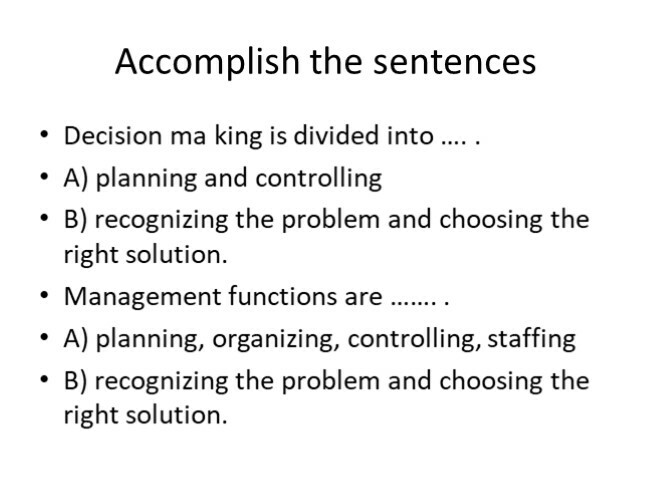 A) recognizing the problem and choosing the right solution. 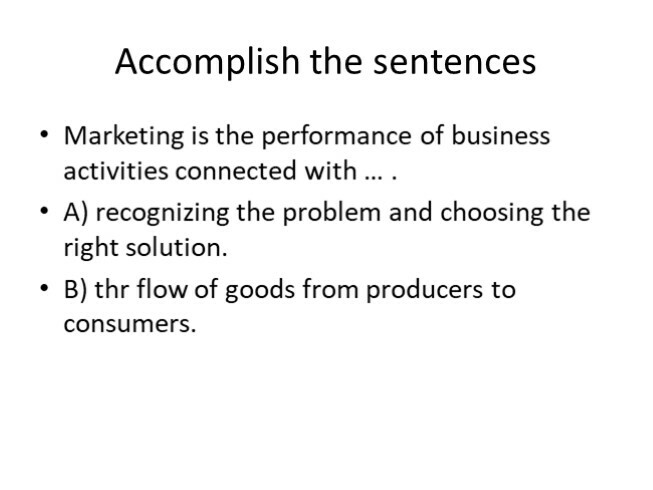 B) thr flow of goods from producers to consumers. 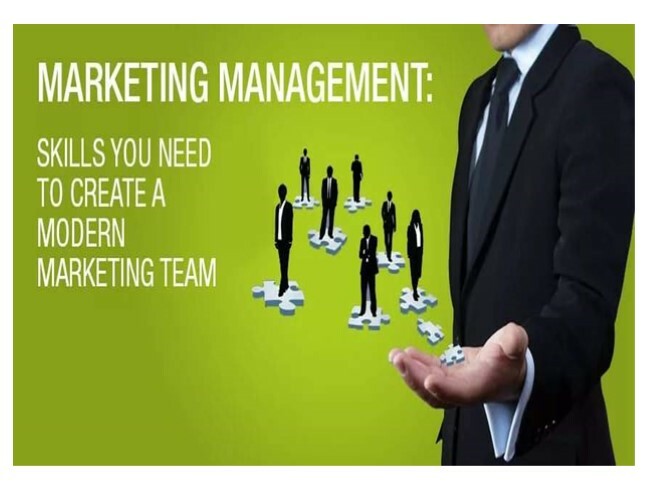 Marketing is the process of ….. . A) planning, controlling and innovation. 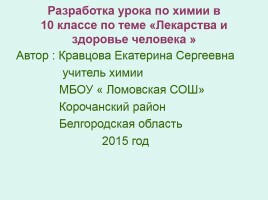 B) having the right product at the right time in the right place. 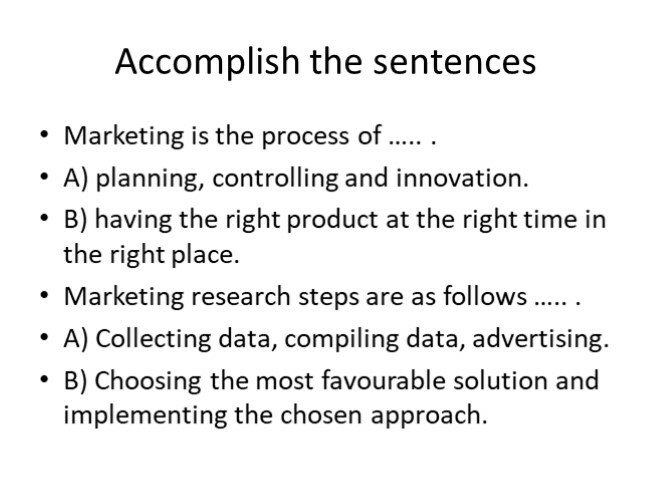 Marketing research steps are as follows ….. . A) Collecting data, compiling data, advertising. 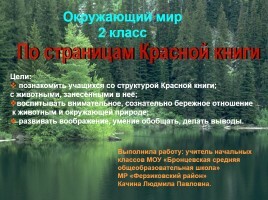 B) Choosing the most favourable solution and implementing the chosen approach.